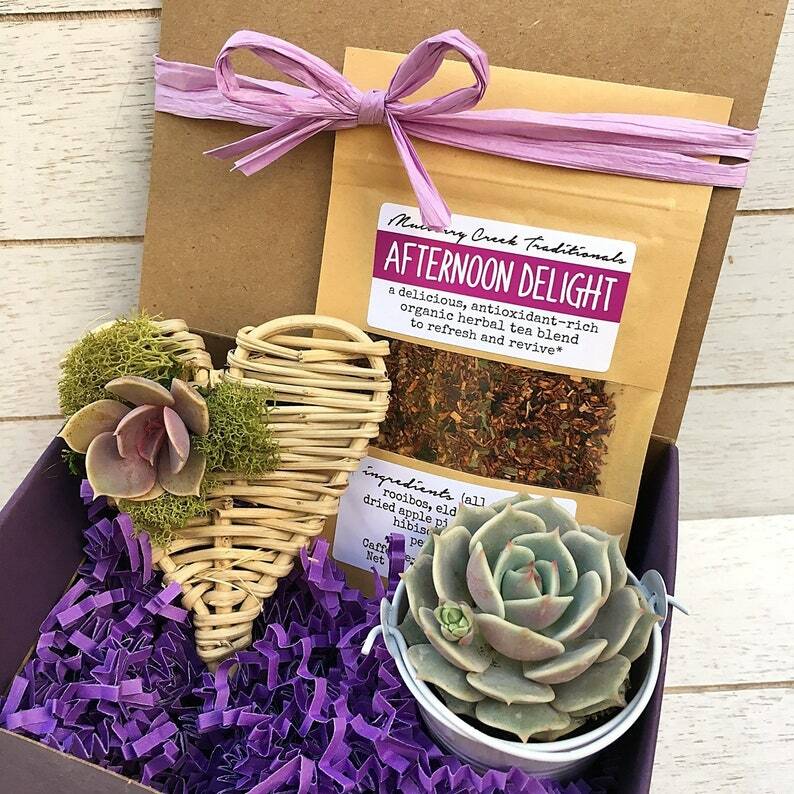 What’s not to love about this gorgeous and unique succulent gift box, with a sample pack of a delicious organic, loose-leaf herbal tea! 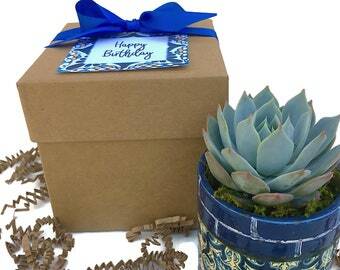 Arrives ready to gift and can be shipped directly to a friend with a personal note from you included. Gift for Bridesmaids, Mother's Day, best friend, Birthday, Thank You or pretty much any occasion! ♥ 1 wicker heart (approx. 3”x3”) decorated with a small live succulent and moss. ♥ 5 tea filter bags, so can you start enjoying your tea right away!